“I've really enjoyed the people I've been working with, so on the creative side of it, it's been really wonderful,” said singer/songwriter Glen Phillips about his career as a solo musician. Phillips, formerly of the group Toad the Wet Sprocket, released his new work “Mr. Lemons” in 2006, and recorded it in east Nashville with a group of local players and some dear friends. The acoustic-based “Mr. Lemons” is a divergent stride in direction to Phillips' 2005 “Winter Pays For Summer.” However, Phillips knew he wanted a stripped-down sound for “Mr. Lemons,” which he said proved to be more of a challenge in certain ways because instead of adding to make a better song, he was faced with taking elements out. The album showcases Phillips' songwriting collaborations with producer Neilson Hubbard and guest vocals from Kim Richey and Garrison Starr. Phillips returned from a sabbatical that took him to the cities of Amsterdam, Berlin, Bath, London and Barcelona. “My family and I, we were out traveling, and it was really good to get out of my habit - I had been in such a routine, going out on the road, coming home only to leave again, so I was feeling kind of homeless and so it was good to reprioritize,” said Phillips. 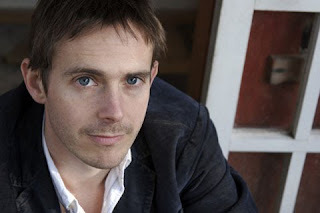 With its origins in Santa Barbara, Toad the Wet Sprocket was named after a Monty Python comedy sketch, and its four original members were high school friends who formed the group in 1986. The band garnered mainstream success with songs like “All I Want” and “Walk on the Ocean.” It played more than 300 shows during its 1991 “Fear” album tour that culminated with throat surgery for Phillips. In 1998, the group eventually parted ways.